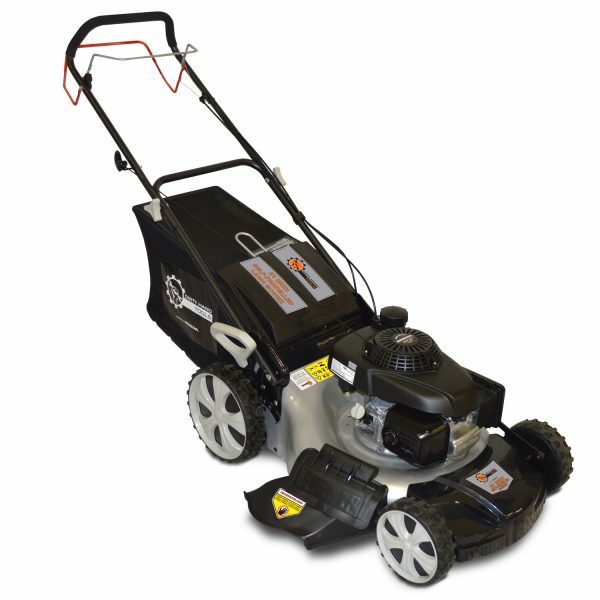 21″ push lawn mower with an EPA/CARB approved Honda GVC160 (160cc) engine. 3100 rpm engine speed. 21″ cutting width. 1.10″ – 3.15″ cutting height. 7 cutting height positions. 3 in 1 cutting options. 1.75 bushel catcher volume. 7.5″ diameter (front), 10.5″ diameter (rear) wheel size. Dimensions: 65″L x 30″W x 44″H (1651 x 762 x 1118 mm). Also features adjustable handlebars, a large capacity catcher, and durable steel deck. Just bought it and working out great, the engineer design it for all hight people I’m 6 5, enjoy the comfort of not bending over.